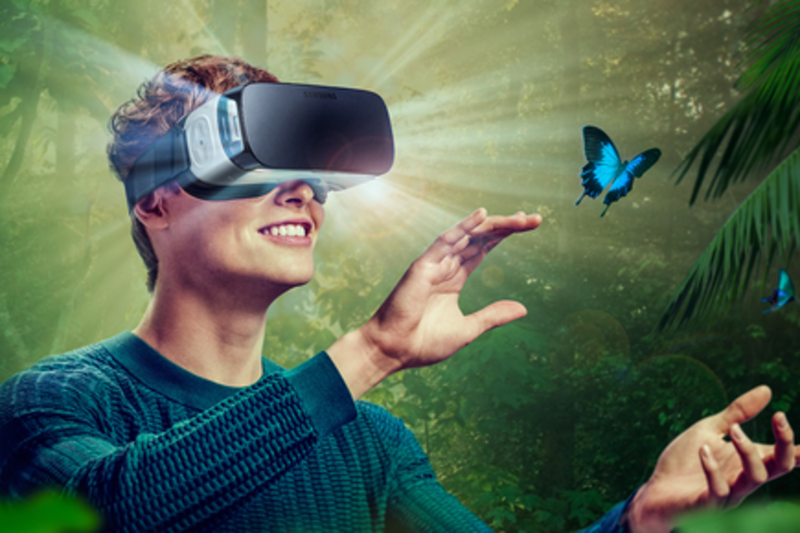 From the vision of Tron to Palmer Luckey and Occulus Rift, and beyond: what are the top trends, and who are the top startups, providers, manufacturers and mavericks to watch and partner with right now in Virtual Reality and Augmented Reality? With 25 million headsets up by 2018, combining high-capacity networks with ultra-high resolution cameras, microphones and full-wall displays, this means amazing content to come. Artists and developers of all sorts will flock to this new form and begin to create a vast array of incredibly moving content. And will VR stay inside the context of gaming and entertainment, or move beyond into areas like education, telepresence, and AR as enterprise cases. Nonny de la Peña was selected by Wired Magazine as a #MakeTechHuman Agent of Change and has been called “The Godmother of Virtual Reality” by Engadget and The Guardian. Additionally, Fast Company named her “One of the People Who Made the World More Creative.” for her pioneering work in immersive storytelling. As CEO of Emblematic Group, she uses cutting edge technologies to tell important stories—both fictional and news-based—that create intense, empathic engagement on the part of viewers. A Yale Poynter Media Fellow and a former correspondent for Newsweek, de la Peña has more than 20 years of award-winning experience in print, film and TV. De la Peña is widely credited with helping create the genre of immersive journalism and her virtual reality work has been featured by the BBC, Mashable, Vice, Wired and many others. Showcases around the globe include the Sundance and Tribeca Film Festivals, The World Economic Forum in Davos, The Victoria and Albert Museum, Moscow Museum of Modern Art, and Games For Change. As Futurist for Rackspace, the leading Managed Cloud Computing Company, Scoble travels the world looking for what's happening on the bleeding edge of technology for Rackspace. He's interviewed thousands of executives and technology innovators and reports what he learns in books ("The Age of Context," a book coauthored with Forbes author Shel Israel, has been released at http://amzn.to/AgeOfContext ), YouTube, and many social media sites where he's followed by millions of people. Dr. Shawn DuBravac is chief economist of the Consumer Technology Association (CTA), the U.S. trade association representing more than 2,000 consumer electronics companies, which owns and produces CES, the world’s largest gathering place for all who thrive on the business of consumer technologies. DuBravac is the author of Digital Destiny: How the New Age of Data Will Transform the Way We Work, Live, and Communicate (Regnery, 2015), which explores how the world’s mass adoption of digital technologies portends the beginning of a new era for humanity in the realms of economics, health, travel and culture. In his role as CTA’s chief economist, DuBravac provides crucial economic analysis to association and industry leaders regarding future economic activity and the relative health of the technology industry. He also contributes research on technology trends that underpin the industry. He was the primary driver of the industry’s new smartphone index, developed in partnership with NASDAQ, and the CE consumer confidence index, in partnership with CNET. In 2012, DuBravac was named to Dealerscope’s “40 under 40” list of people to watch in the consumer technology industry. DuBravac has taught as an adjunct professor for George Washington University’s MBA program and has taught at the University of Mary Washington and for George Mason University’s MBA program.